Posted on Friday, May 7th, 2010 at 6:00 pm. Location: Duderstadt Center Connector (hall way between Pierpont Commons and Duderstadt Media Center), the University of Michigan North Campus. 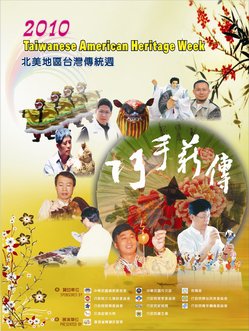 The Michigan Taiwanese American Organization (MiTAI’s) is hosting renowned Taiwanese artisans in celebration of Taiwanese American Heritage Week. These artisans are coming to Michigan to share and teach traditional Taiwanese art forms to the community. * Sculpture using tree bark, leaves, and other natural materials..